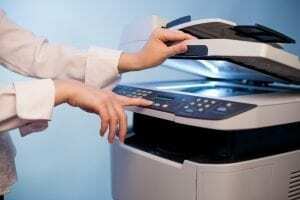 The Xerox D136 copier and printer was designed to meet the needs of high production environments. With printing speeds up to 136 PPM, the Xerox D136 is capable of keeping up with demand while delivering print and image quality of crystal clear 2400 x 2400 dpi. 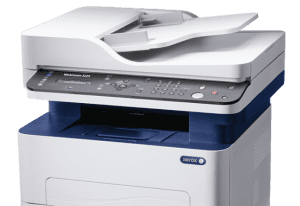 Rest assured that your workflow will be streamlined with the Xerox D136, with the ability to scan up to 200 images per minute at 600 x 600 dpi, guaranteeing unmatched monochrome prints, color scans, and image accuracy. The Xerox D136 isn’t just designed to keep up with the most demanding printing environments, but is also flexible enough to expand and grow with your operational needs. With a vast array of optional finishing options, the Xerox D136 will be a crucial component of your operations for years to come. 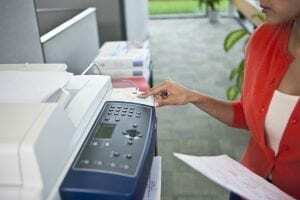 Alongside unmatched reliability, the Xerox D136 also allows users to load and unload paper, and change toner, without interrupting your printing projects. From beginning to end, the Xerox D136 will enhance productivity, maximize efficiency, and create value at every print. 2400 x 2400 dpi print resolution, 600 x 600 dpi scan resolution with 8-bit Gray (256 color). Printing speeds up to 136 PPM, with first-copy out time of 3.7 seconds. Dual-headed color scanner capable of scanning 200 images per minute. 250 sheet Automatic Document Feeder. High detail Xerox Emulsion Aggregation (EA) Toner. Print from and save to USB functionality. Enhanced data security with 256 bit encryption, IPv6 ready, integrated Secure Print, email over SSL, Hard Disk Encryption, Image Overwrite, and authentication service integration.